Kaelan Sullivan is originally from the Midwest and has been hooked on improv since her first class at WIT. Kaelan always admired the comedians of SNL growing up, particularly fellow Boston College alum Amy Poehler. Inspired by how important improv was to those comedians, Kaelan finally started classes in 2015 and has been spending the majority of her time on improv related adventures ever since. Kaelan is a graduate of the WIT curriculum as well as Improv 101 intensive at Upright Citizens Brigade in NYC. She is currently a member of all female WIT Special Project Hellcat and WIT Ensemble Team Commonwealth. She is also a member of independent team Trustfall and performs with WIT production Improv Actually. Kaelan is committed to establishing a positive classroom environment, mixing high energy, fun exercises with opportunities to try something new and challenge yourself. 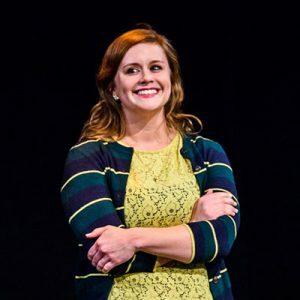 Kaelan loves seeing the way that each student finds meaning in improv, often finding herself emphasizing the mantra that improv lessons end up being good life lessons as well. She encourages all friends and some strangers to take improv classes because of how fun they are, and how much you can surprise and challenge yourself. Kaelan is a graduate of the WIT curriculum as well as Improv 101 intensive at Upright Citizens Brigade in NYC. She is currently a member of all female WIT Special Project Hellcat and WIT Ensemble Commonwealth. She is also a member of independent team Trustfall and performs with WIT production Improv Actually. During the day, Kaelan works in international development in Eastern Europe and Central Asia. Its been an exciting way to learn more about the world, and hopefully make it a better place. Max from "Where the Wild Things Are"